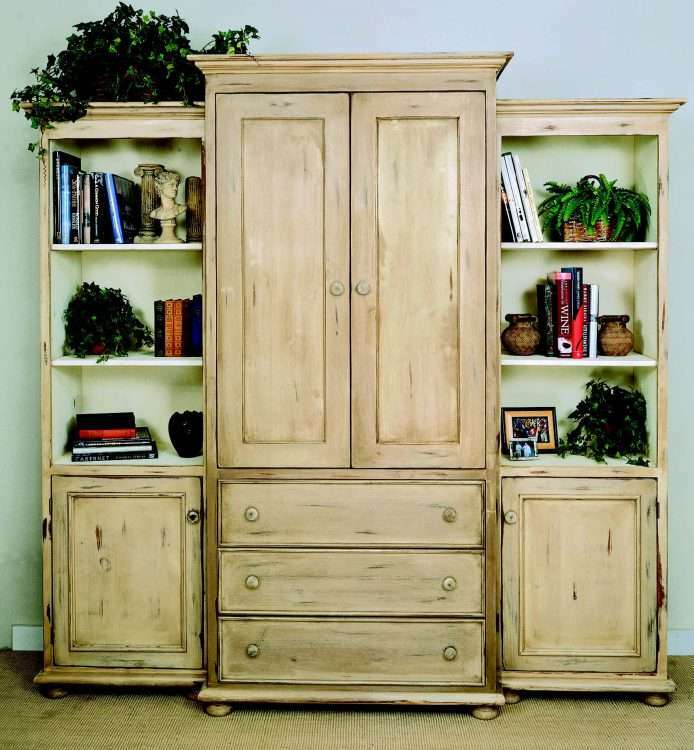 Comes standard with 10 Catalina Wooden Knobs. 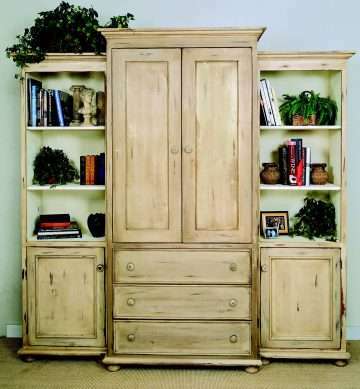 Intended for use as an entertainment center, the center unit comes standard with pocketdoors, VCR bridge, TV swivel, and is drilled for TV/component wires. TV sits approximately 38 H from floor. The side units feature open display with 2 adjustable shelves (per side) on top, and hidden storage with 1 adjustable shelf (per side) at the bottom. Center Section Only is available as EN85C. Ships in 4 corrugated cartons: Center section (203 lbs), left section (77 lbs), right section (77 lbs), and 6 adjustable shelves for side sections (28 lbs), on 2 wooden pallets (50 lbs each).